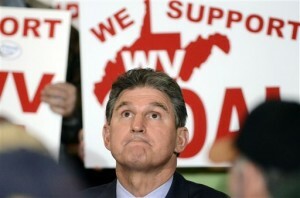 But the West Virginia Democrats didn’t really do much better. The best legislative move they could come up with was to seek a study of the jobs impact of the energy bill and its repeal. They must have forgotten that their own 2009 bill already included a requirement for the PSC do perform such a study every year. I am deeply disappointed that the Republicans in West Virginia legislature have decided to play partisan politics with our state’s energy and utility rates by attempting to repeal the bipartisan Alternative and Renewable Energy Portfolio law. When I was governor, we brought together industry, coal miners, and environmental leaders and passed this commonsense law that encourages utilities to use all of West Virginia’s energy resources, from building more efficient coal power plants and upgrading old plants, to investing in renewable energy. Our law showed the country that coal could continue to lead our nation toward energy independence, while also reducing emissions. Coal will be a part of our nation’s energy portfolio for the next several decades, and West Virginia must lead the way in showing other states how to produce and burn coal more efficiently and cleanly. This law struck a balance between our economy and our environment, and has reduced utility rates for middle class West Virginians, something all of our elected officials should be focused on. If the Republicans now believe that this law harmed the coal industry and increased rates, I would expect that their legislation will have a mandatory reduction of utility rates of more than ten percent for all West Virginians. Since its passage, the Alterative and Renewable Energy Portfolio law has aimed to protect our environmental interests while focusing on job growth, bringing in new businesses, and upholding West Virginia’s technological advantage by incentivizing the use of state-of-the-art energy systems. The utilities have successfully met the 2015 goals and do not anticipate any issues with meeting the 2020 and 2025 goals. West Virginia was the only state that showed, if we take advantage of clean energy technologies, we can reduce emissions while still utilizing coal. It is my belief that West Virginia’s energy policies can be used as a template for future national energy policies to strike that balance between environmental concerns and America’s energy needs. I had always hoped and believed that the corrosive political atmosphere that has been so destructive in Washington would not make its way to our great state – this attempt by Republicans proves that the worst of Washington political gamesmanship has made its way to West Virginia. It’s kind of like how the West Virginia Democrats have a new-found interest in worker safety when faced with a GOP majority that can weaken the state’s “deliberate intent” lawsuit standard, but couldn’t being themselves to pass real mine-safety reforms following our state’s worst coal-mining disaster in a generation. How can the Democrats spend most of their time beating up President Obama, the EPA, and government regulations — sounding just like the Republicans — and then expect to turn themselves and voters on a dime? What’s happened in this particular instance, with the energy bill, is that the Democrats passed a do-nothing bill, then beat on their chests about how great they were for doing so. And now the Republicans are repealing a do-nothing bill. When that’s done, they can beat their own chests for a while. The rest of us — and especially a generation of West Virginians continue to be given the false hope that another coal boom is just around the corner, as soon as we get rid of Obama and the nasty old EPA. How can both parties get away with this? Well, part of the blame for that lies with the media in our state. It’s hard to defend our performance on this issue. The Daily Mail was calling the energy law “cap and trade” (without the quotes). 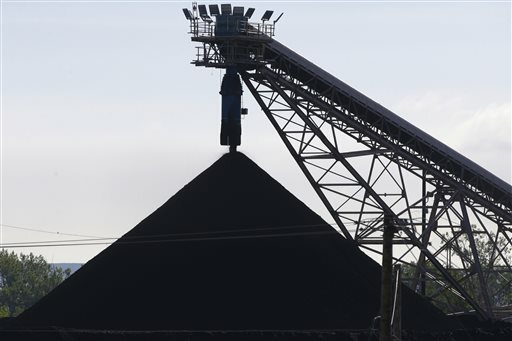 Just yesterday, West Virginia MetroNews said that the 2009 law “requires electric utilities use an increasing amount of energy sources other than coal over the next few decades,” something that’s just not true. Some in the media seem to think if they call the energy law a “so-called cap and trade bill” that they’ve adequately suggested it might not be that at all. In a commentary, Hoppy Kercheval wrote that the 2009 law “does cap the percentage of coal generated energy.” It actually doesn’t. Hoppy would have known that had he read the definition of “alternative energy” in the law, and realized that it includes most of the state’s advanced coal-fired power plants. In fairness, though, the Gazette didn’t necessarily perform very well either. Several of our stories (see here and here) included the misleading and incomplete statement that the law “would require power companies in the state to use fuels other than coal for a portion of their electricity production a decade from now.” One WVU expert on these issues, law professor James Van Nostrand (see here and here) tried to testify to the Legislature about the energy law. His comments didn’t really make it into much of the statehouse coverage. It’s a heck of a question — or, is it really a question or just a rhetorical way of making a point? Anyway, assuming for discussion that it is a real question, perhaps part of the answer is that such “illogical” behavior is in the nature of the rather colonial sectors of our economy/polity, such as WV has been for a long time — which means that people who live here just don’t usually have the power or ability to stand up to and counter the important needs and wishes of the folks who are really calling the shots, who tend to live elsewhere. Such a powerless situation leads to all kinds of quizzical behavior, which is easily skewered with questions like yours, Ken. It has been like that for quite a while. I would have to agree with Tom and Ken on this issue, having attended every meeting of every bill, there are three of them, SB 1, HB 2001, 2201, all having advanced through their respective bodies and most have been amended with industry favored amendment except for Sen. Craig Blair (R-Berkeley) who proposed a solution to left over energy credits when a customer-generator moves and has them donated to the utility non-profit which helps poor people with the electric bills. In a way it too sounds like a First Energy amendment come to think of it. The other amendments are word -smithing which could limit different models of solar expansion going forward. The debates have mostly missed the point and represents mostly grandstanding by the coal industry and their Coal Delegates like Rupert Phillips (D-Logan) who said that coal is held to a higher standard…really? Rupie as he is known has a “Coal Del” license plate on his Black SUV. Great piece, Ken. I would add a couple of things. The jobs impact study that the Dems proposed would have (theoretically) included the use of a econometric model (which is a black box of variables where results largely reflect assumptions made by the author) that could have provided some limited information on how many jobs would be created/destroyed from repeal of this law. I do not think (please post if I am wrong) that this type of analysis is included in the annual PSC reports. Also, it is unclear to me, from an environmental and economic point of view, whether the AREPSA is a positive step forward or much to do about nothing (John?). If it is the latter, I can see how some progressive legislators may find themselves comfortable with voting to repeal the AREPSA (minus the good amendment to keep net metering). Your points about slanted media coverage are right on the money. I’ve noticed that since the November election, many of the media outlets have been cheerleaders for the new leadership instead of trying to be more evidence-based in their coverage. Far too many journalists just repeat what politicians say (this was a problem in the past to), instead of providing analysis and content that would help readers have an informed understanding of the policy issues at play. To paraphrase John Dewey, until West Virginians have democratic control over their natural resources and their elected officials, politics in West Virginia will always be the shadow cast by the natural resource industries and big business. The facts have been their all along and Kasey and Kuykendall reported them accurately. I think we need to give credit where credit is due. Those pieces by Pam and Taylor were published 2 and 3 years ago … and in fact, I would argue that the fact that those stories were published — and are readily available to anyone with an Internet connection and Google — shows even more clearly how bad the coverage has been of this issue as the bill makes its way through the Legislature. Coverage from statehouse committee meetings and floor sessions reads as if the facts demonstrated by Pam and Taylor don’t exist — as if those little meetings occurred with no history or context. To cover legislative meetings and votes as if it’s simply a case of the people for a bill said this and the people against it said this, and here’s the vote … well, that’s a great example of what’s wrong with the media today. Economists like you invented the econometric model and use it all the time as their principal tool- in- trade. There’s very little for reporters to report since the new legislature wasn’t even in session until a few days ago. I agree with you wholeheartedly about the current media coverage. As well as your point that real analysis has been around for years, and no reporters used that to inform their current work. I just wanted to let your readers know that there has been extensive coverage of the facts in a number of places, Grounded, The Power Line, Downstream Strategies and Coalition for Reliable Power. Unfortunately, Grounded is no longer with us as Pam and Taylor have moved on to other beats. Scapegoats are all that anyone really wants at this point; it’s Obama and the EPA that are causing all of the coal mining jobs to disappear. Not the utility industry choosing to invest billions in combined cycle gas-fired power generation, which are twice as effieint as the pre 1970s coal plants now in use. Nearly every industry is converting to natural gas and moving away from coal. The markets have spoken for the most part and natural gas is the clear winner. It will probably take WV and its aligned politicians a couple of years to figure out they tried to close the barn door too late. See the Face of Decline: The Pennsylvania Anthracite Region in the Twentieth Century for a good background on coal’s future. Ken, an incredibly informed post as usual. You’re dead on about the absence of facts and data in the Appalachia energy sector. This intersection between policy and industry leaves very little room for science, so the real question for me becomes how can we bring science and intelligent review of findings back into policy. It’s no secret that West Virginia education is kept on a tight leash by energy industry leaders, but teaching science literacy is far and wide our only hope for any improvement and advancement for Appalachia energy.